I’m a 40-something mom of a grade school girl. Being fit and trim has always been a struggle for me, even though I grew up playing multiple sports; softball, basketball, soccer and cheerleading. I remember, as a young girl, feeling like I wasn’t good enough and would envy the girls who seemed to have no trouble looking the way society portrayed the “perfect body”. It would be years before I felt comfortable in my own skin, and even now, I secretly have my moments. When my daughter was born, I remember praying that she would not have the same struggles I had with my weight and that she wouldn’t have to know how it feels to feel overweight or out of place with other girls. Ten years later, my beautiful daughter is the tallest and biggest girl in her class. She would rather read a book than go outside and play. 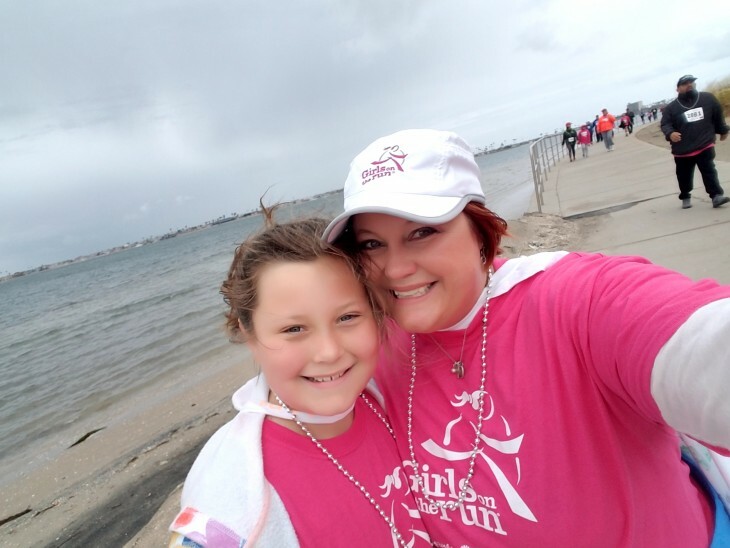 When I discovered Girls on the Run the summer before my daughter entered 3rd grade, I knew that I had to expose her to this amazing program and give her the confidence to be happy and healthy just the way she is. So, I started the program at her school and have coached the past 4 seasons with an amazing friend and colleague. To have the chance to bond with my daughter in such a healthy way and to see her confidence in her abilities grow every season has been one of the highlights in our relationship. As we enter her last year of grade school, and possibly the last two seasons of her involvement with GOTR, I know that the lessons she’s been exposed to and the personal confidence and belief in herself will carry her forward into middle school and beyond. For me, I have felt such an amazing sense of purpose influencing so many beautiful young souls. The coaches I’ve had a privilege to work with have touched my life in small and big ways. I am not a runner, nor will I really ever become one, but I love having the opportunity to inspire girls who think they can’t do it because of their size – just by seeing me do it as well. I love personifying the lessons of determination, practice and belief in yourself to reach the goals that you set for yourself. 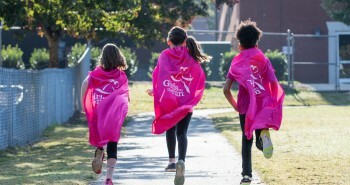 I am thankful for Girls On The Run. Lisa lives in San Diego with her husband and their children Tyler & Grace. She grew up in Kentucky and has lived in California for 17 years. She loves to read, listen to music and travel the world with her family. She works full-time as a process improvement specialist for Nielsen, a leading market research company. She loves Girls on the Run.